When you look at the picture below, does it look familiar? 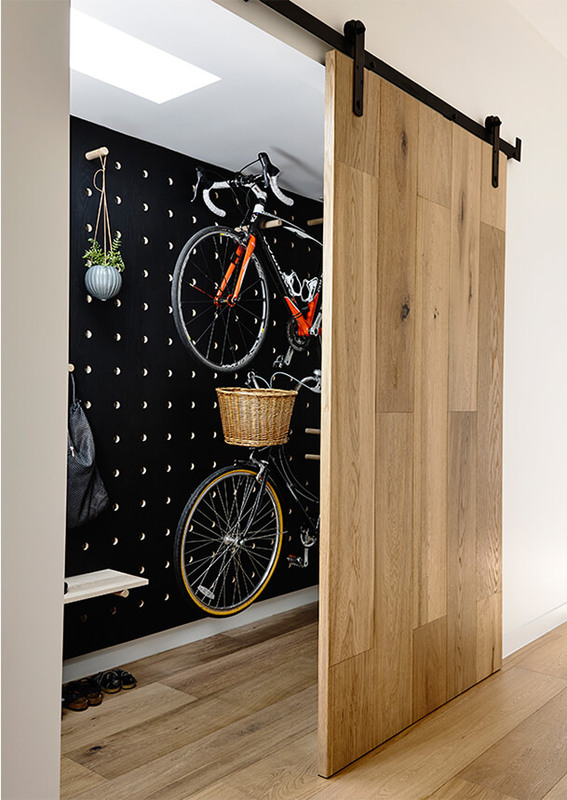 Well hopefully your situation is not that bad, however as your family grows or your hobby of biking becomes a lifestyle, you naturally find yourself in need of more storage space for your stuff. 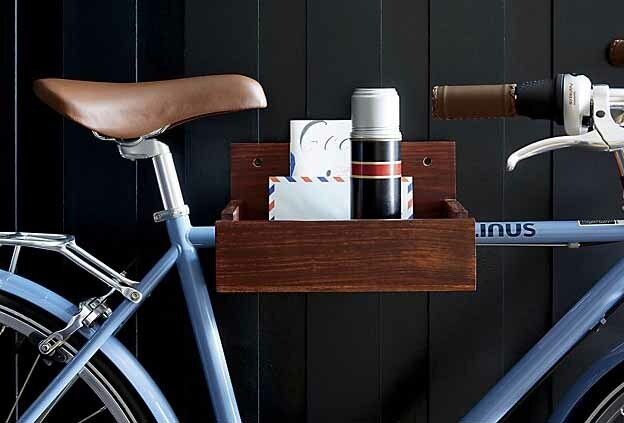 Here are 32 creative ideas that will hopefully provide some answers for you. 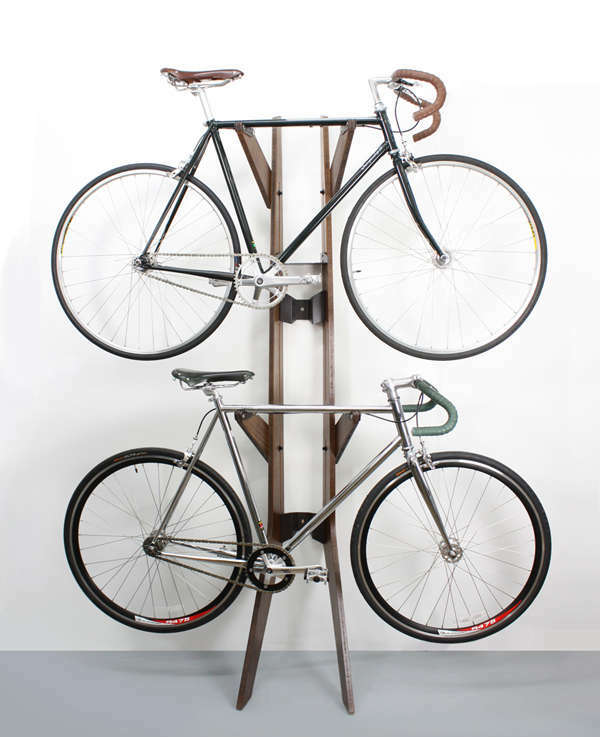 Some are small, a couple may seem like a bit out there but overall they are all very cool, stylish way to store your bicycles. 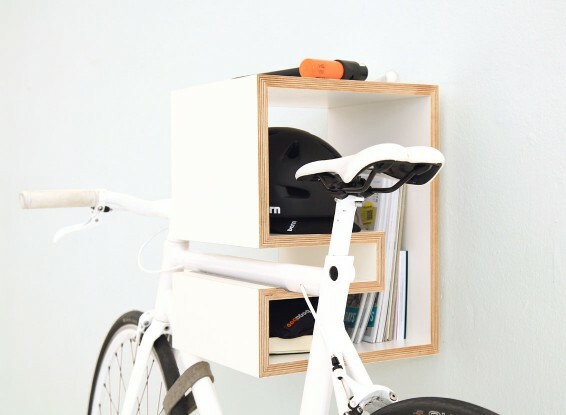 Quareterre Studio’s Branchline, looks like a bookshelf you can put against a wall in your apartment, the difference is, it is made for bikes. 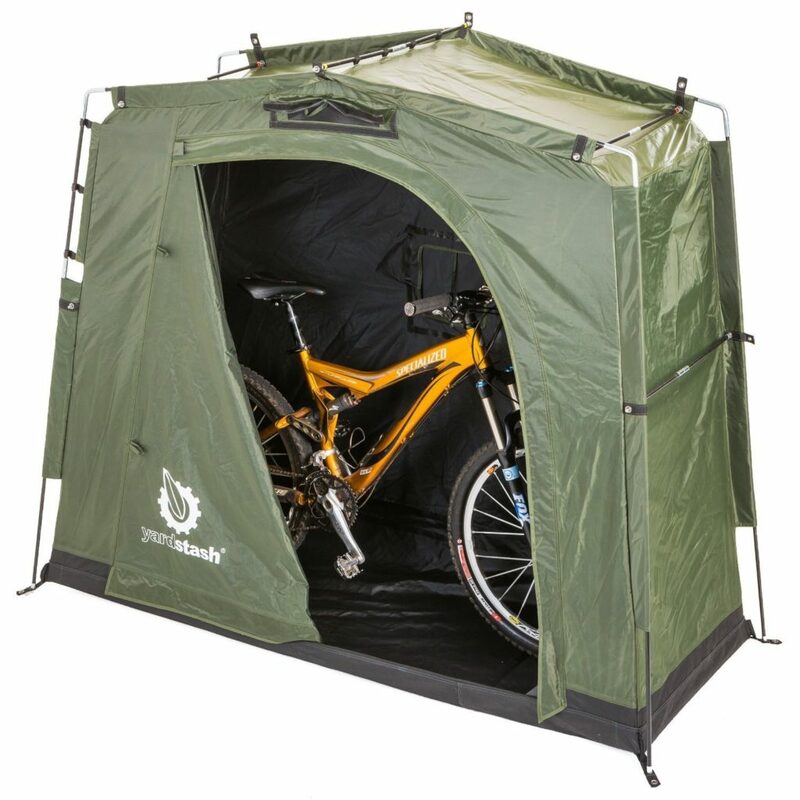 It can hold up to two bikes. 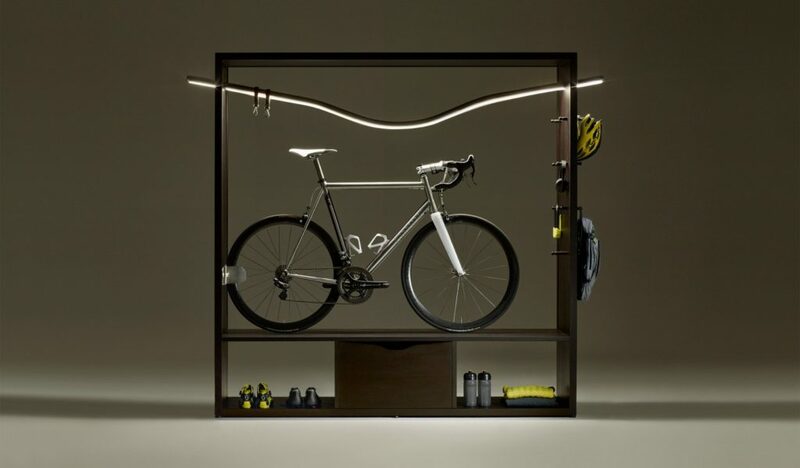 Walnut by Artifox is almost a piece of art. 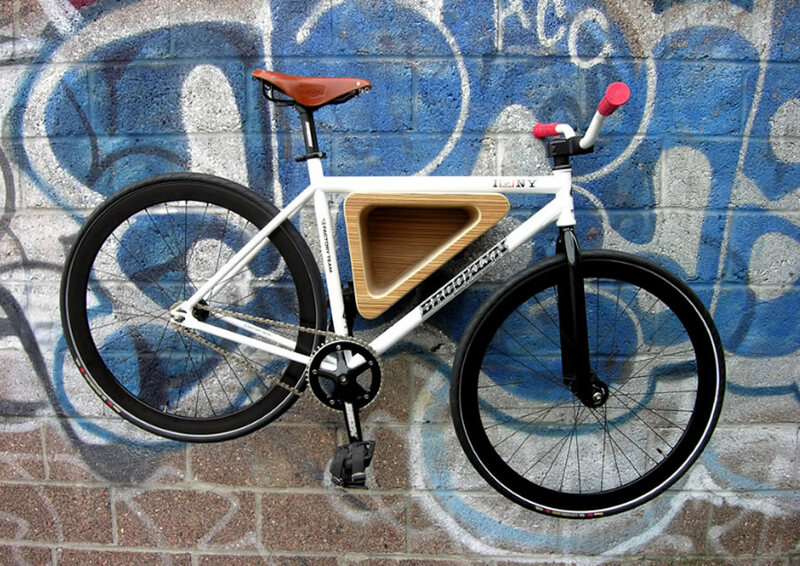 It looks awesome with a bike or without the bike. 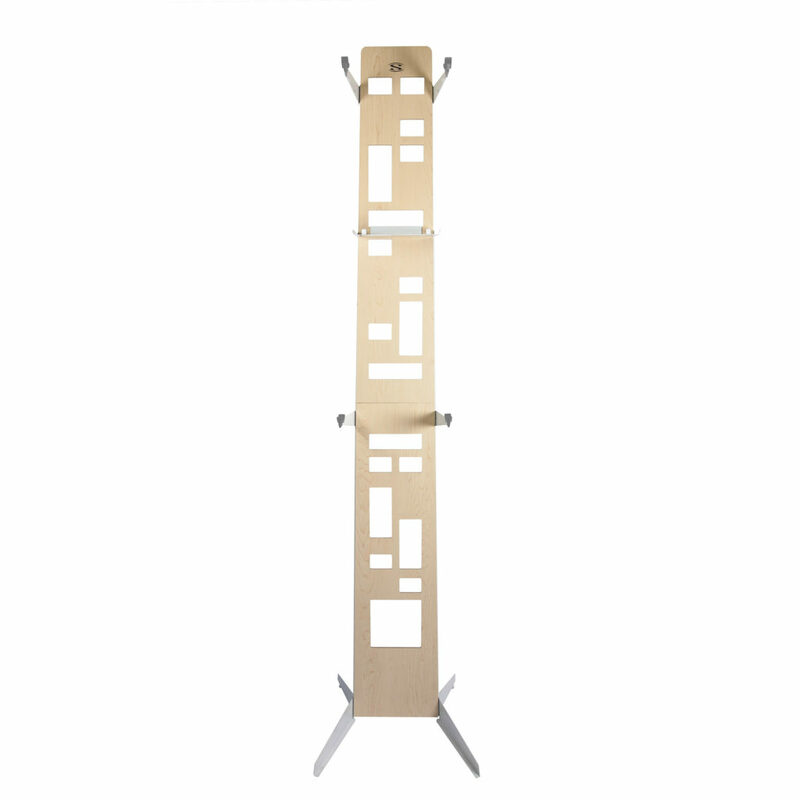 It rests vertically against the wall and it is made in the USA. 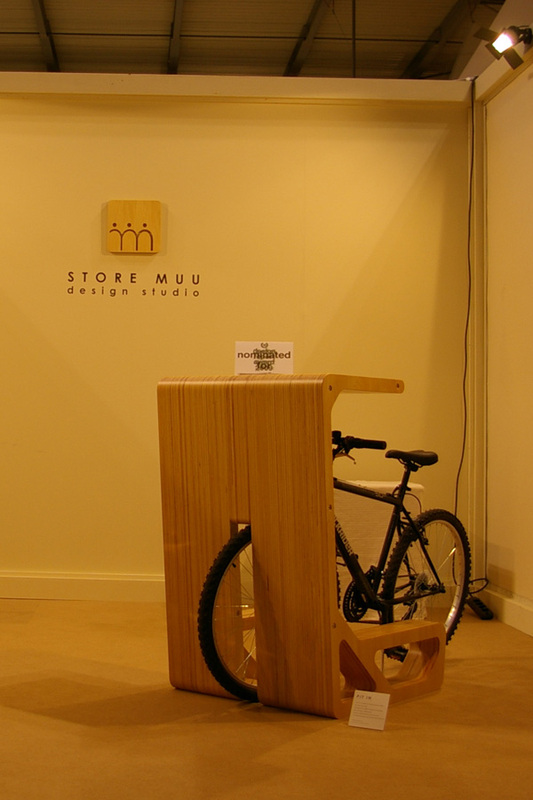 If walnut-finish isn’t your style, it is also available in maple. 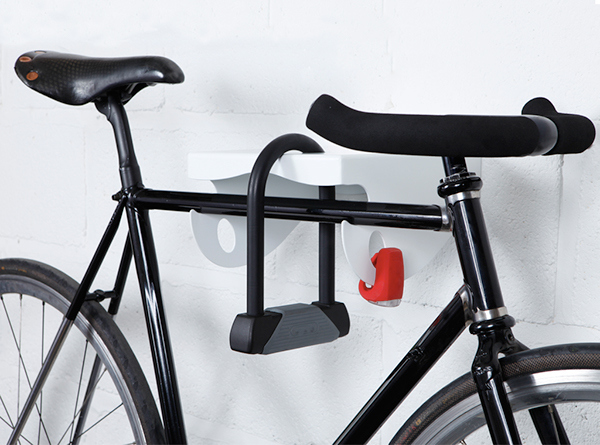 The Hottie by Saris is a freestanding bike holder. It holds up to two bikes. Its name says it all. 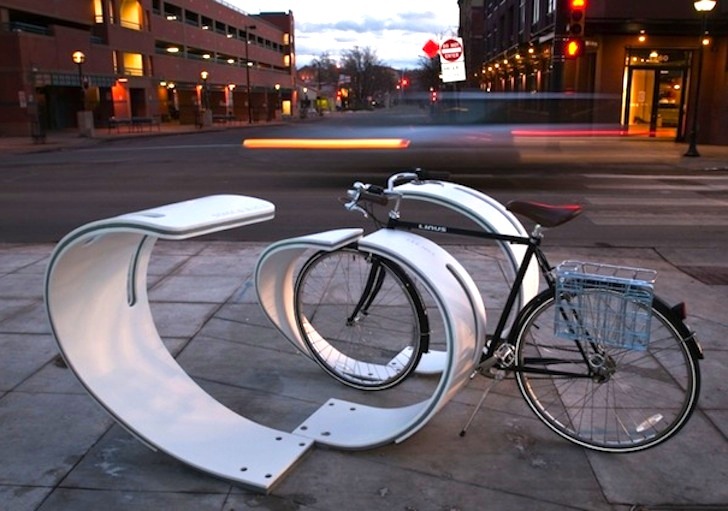 If you want conversation starters as well as beautiful bike racks for your bike. 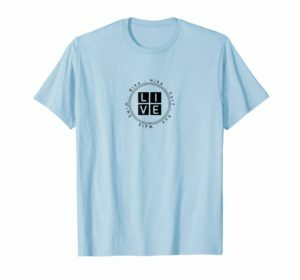 Check out the next two below. 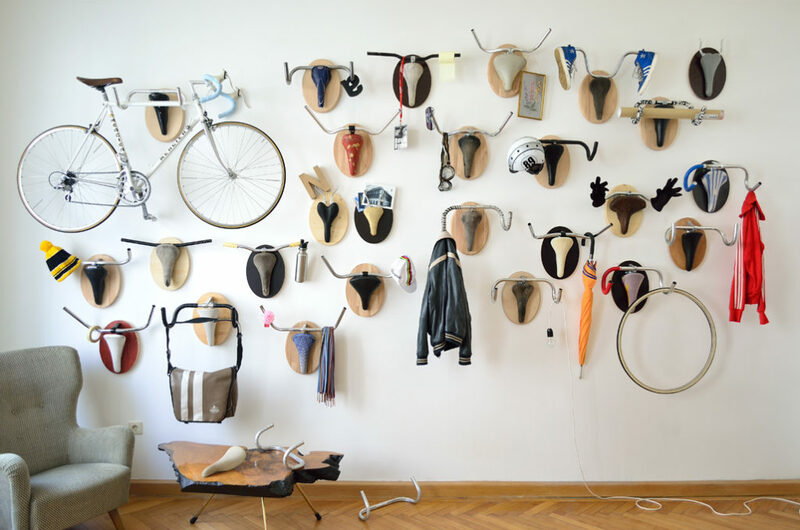 They are decorative and stylish with or without the bikes. 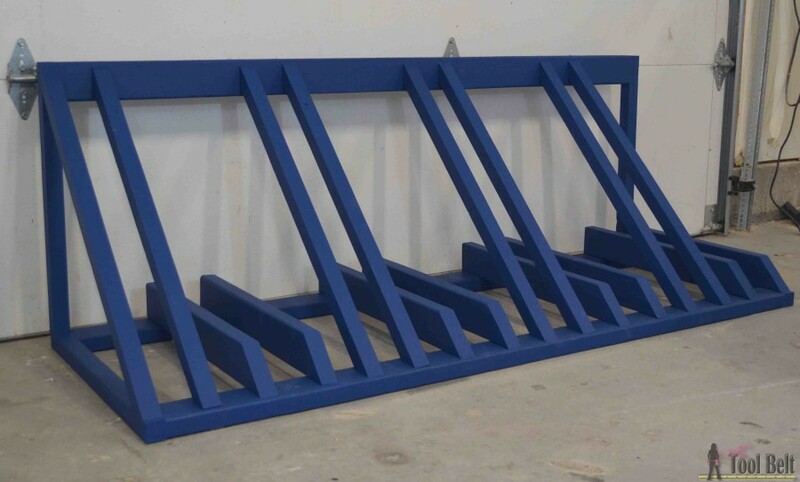 You don’t like a bulky treadmill in the middle of your apartment. 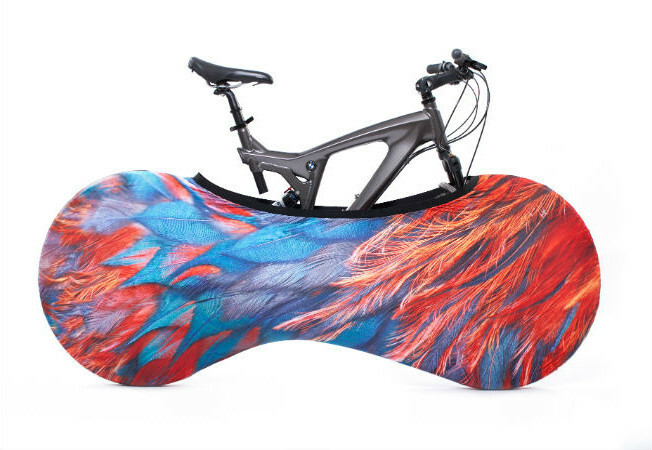 Well, I don’t know if you can actually use your bike like a treadmill with this design, but it sure looks cool. 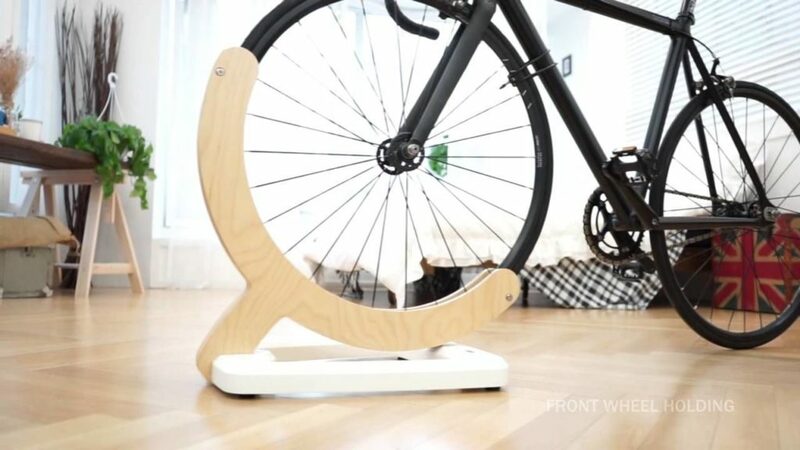 And with some innovative modifications, who knows, maybe you can turn it into a stationary bike. 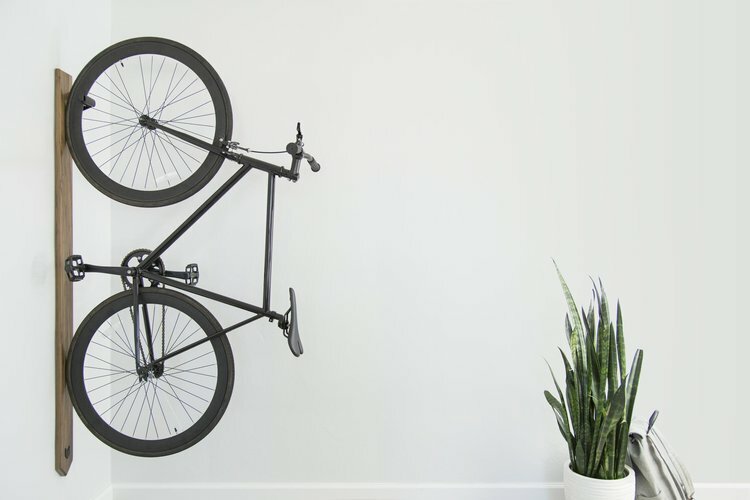 Who needs a painting when you can hang your bike on the wall and display at proudly as a piece of art. 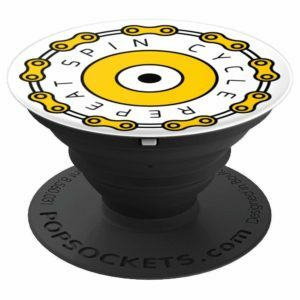 Cycloc lets you do that and makes it look good. 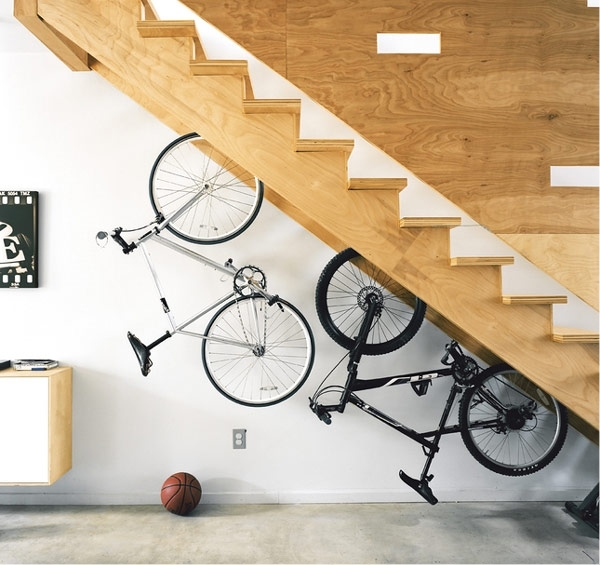 Do you have a staircase with space underneath? 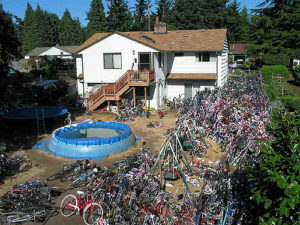 Don’t let it go to waste, use it as a bike rack. 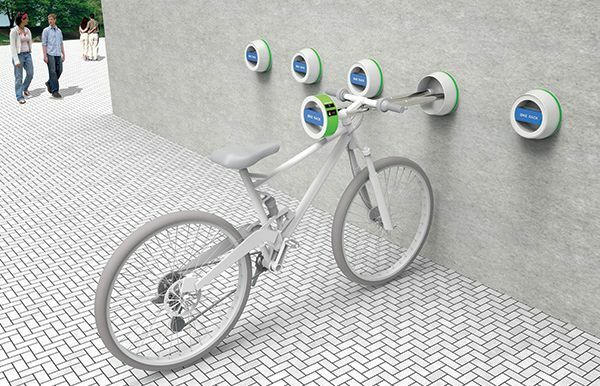 This is one of the coolest ideas to use bike parts to up-cycle. 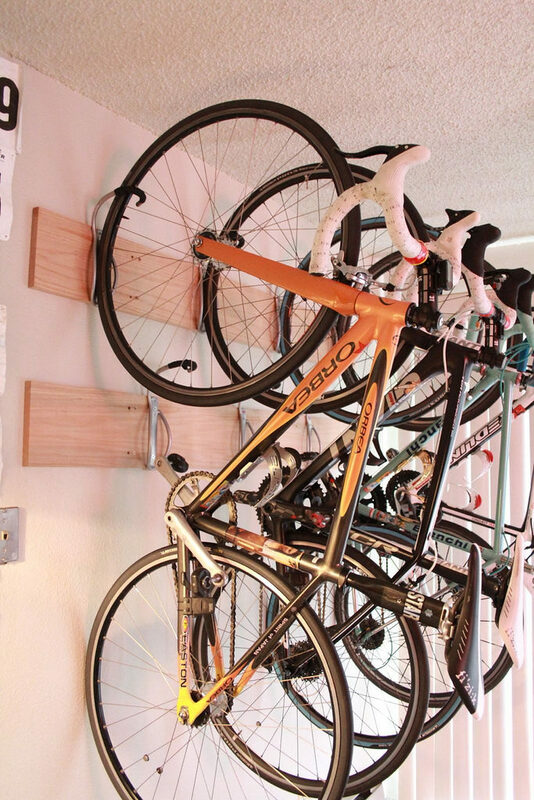 Turn them into wall-mounted bike racks for your home. 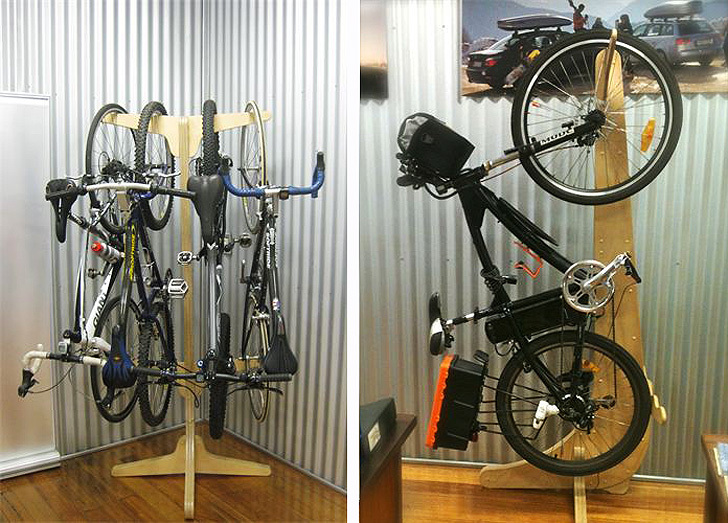 Eco-friendly indoor bike rack that can hold up to four bikes. I am just going to let the picture do all the talking for this one. 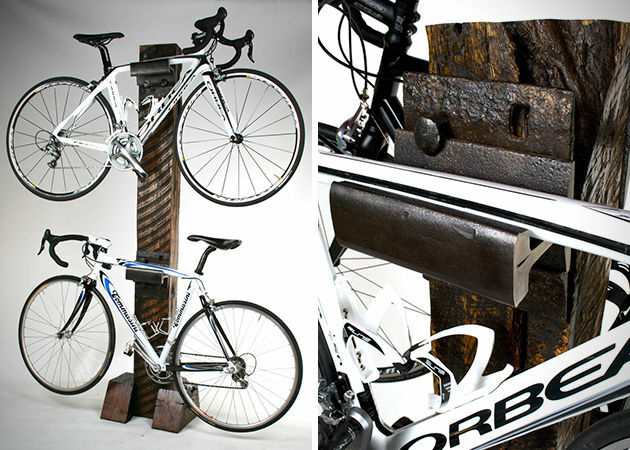 This one is called the Railroad Tie bike rack. 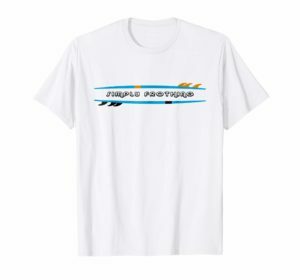 It is designed to look like a cross tie for a train track. 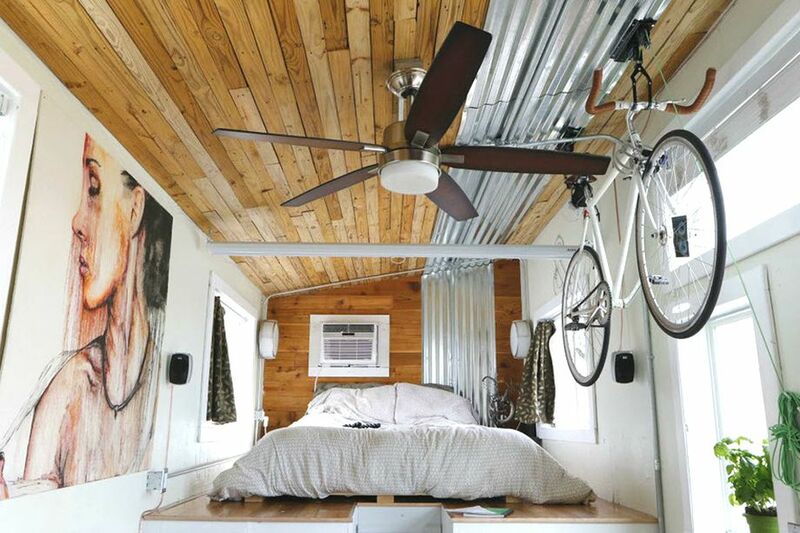 This guy found a way to store his bike inside a tiny house. 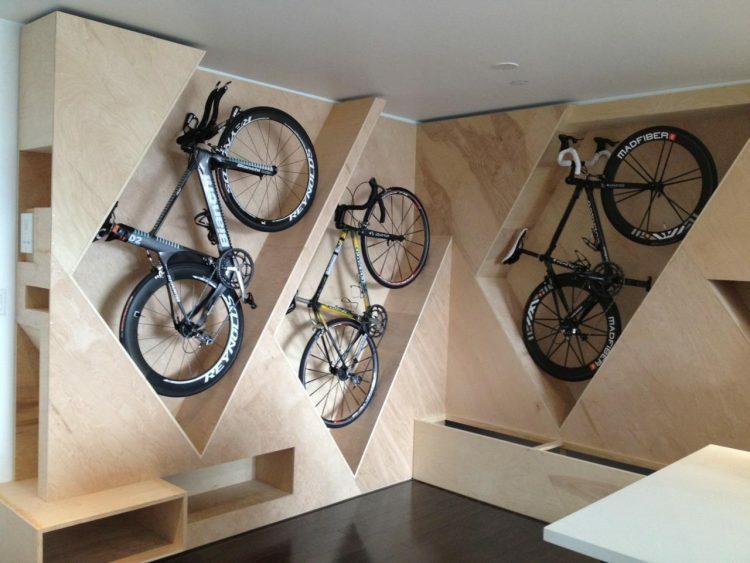 Cool wood wall mounted bike rack/shelf. 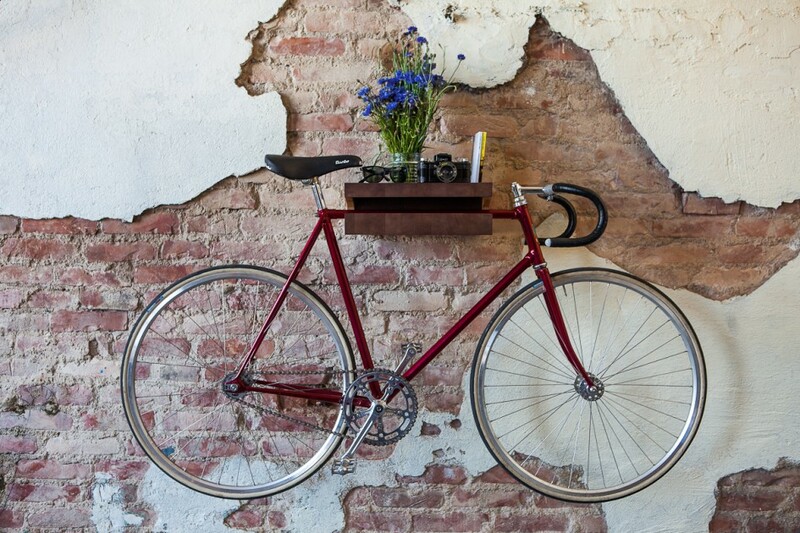 This one proves that your bikes can bike used a decoration for your apartment as well. 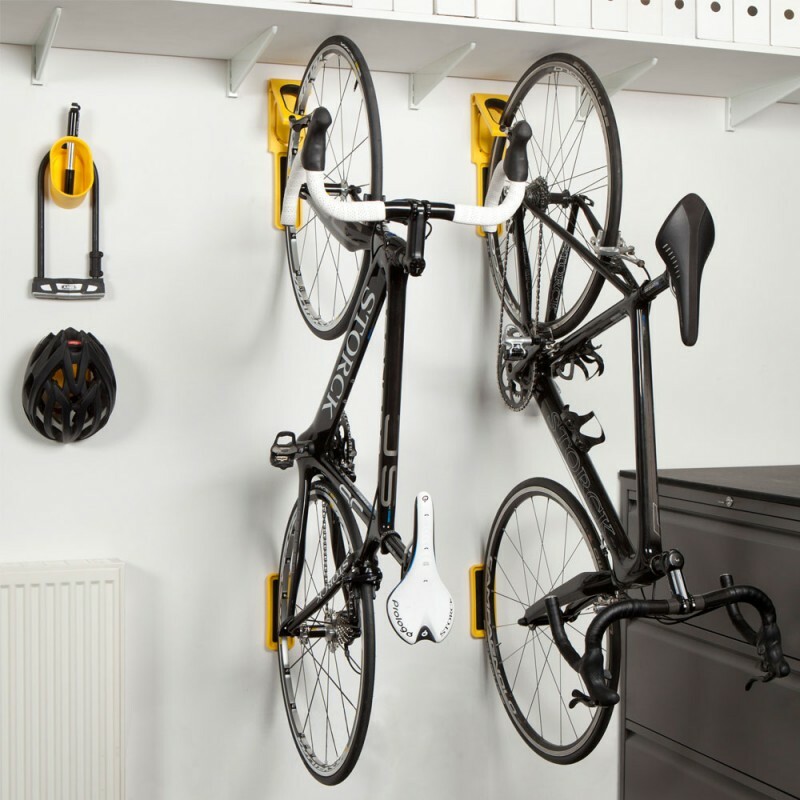 Not only a bike rack for a single bike, it can also provide some shelf space. I just love the simplicity of it. 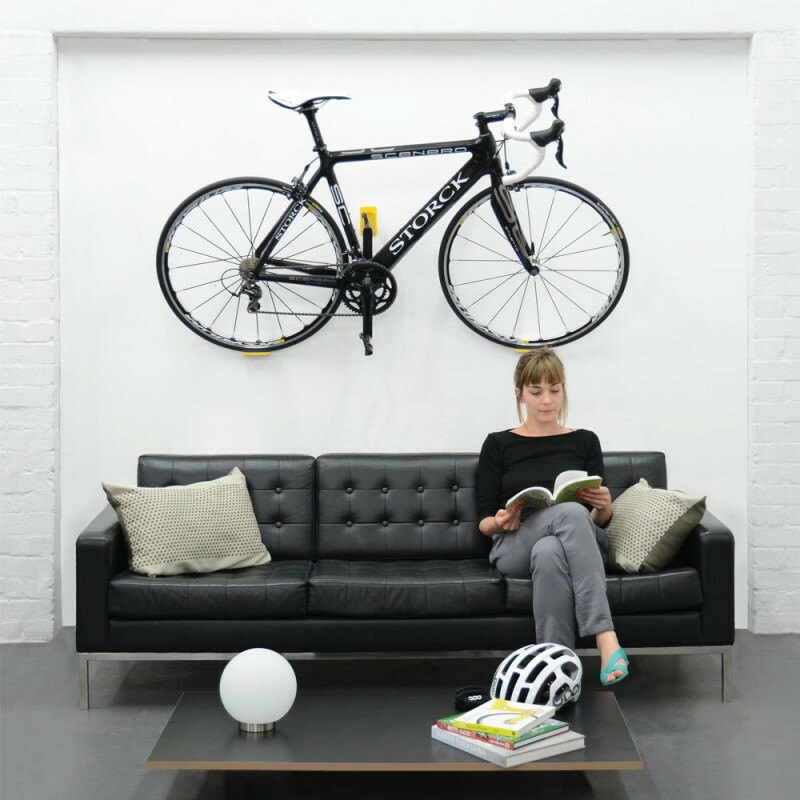 Dahanger gives you a design small enough to display a framed photo but big enough to hold your bike. 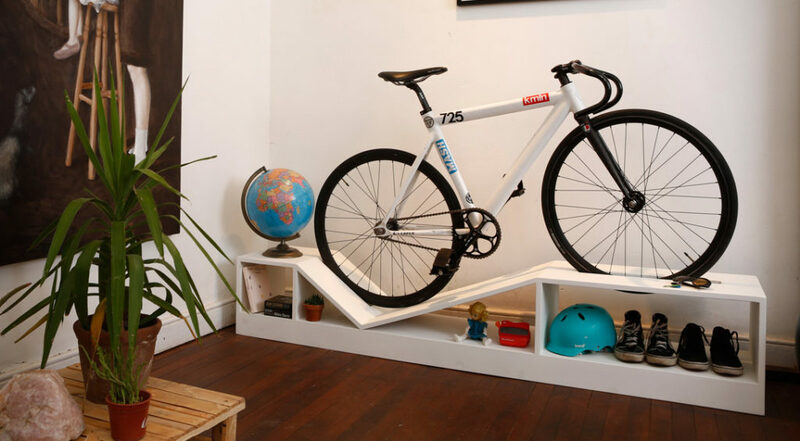 Do you like the idea of a bike rack that is also a small shelf but want a different look? Here is MAMA. 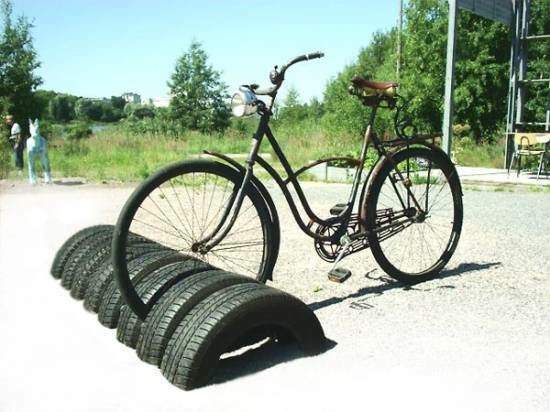 Yes, I know this one isn’t as ‘stylish’ as the other ones but if you have some used tires, why not? 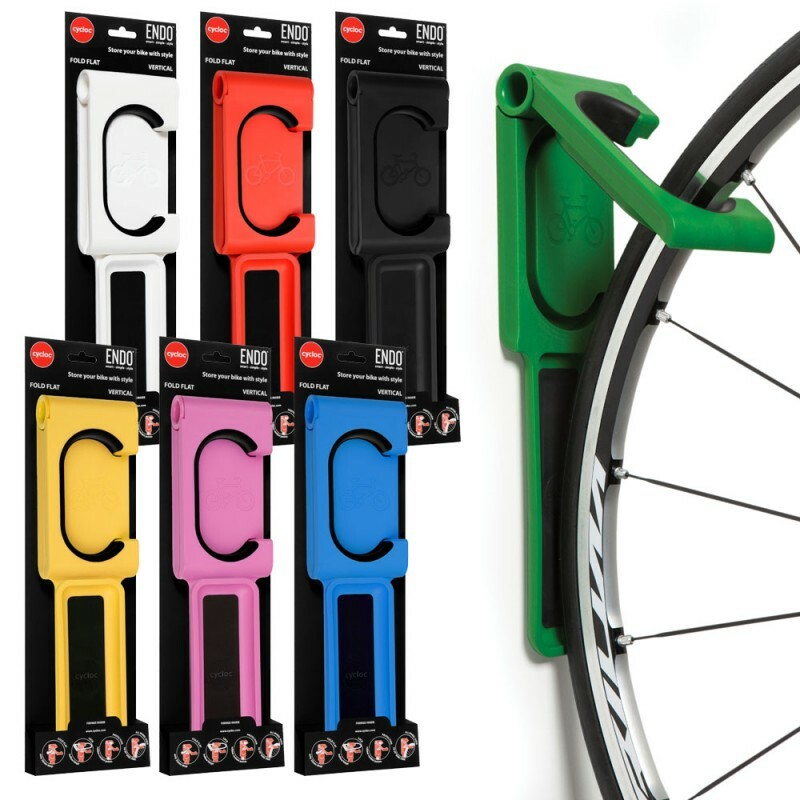 The Yardstash III is designed to keep your gear dry and accessible. 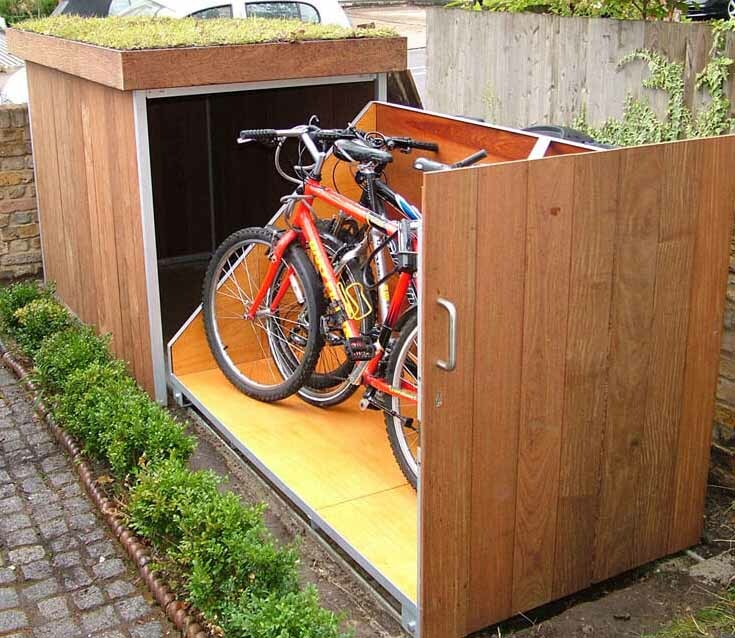 A bike shed for your bikes. Pullouts, such a neat idea. 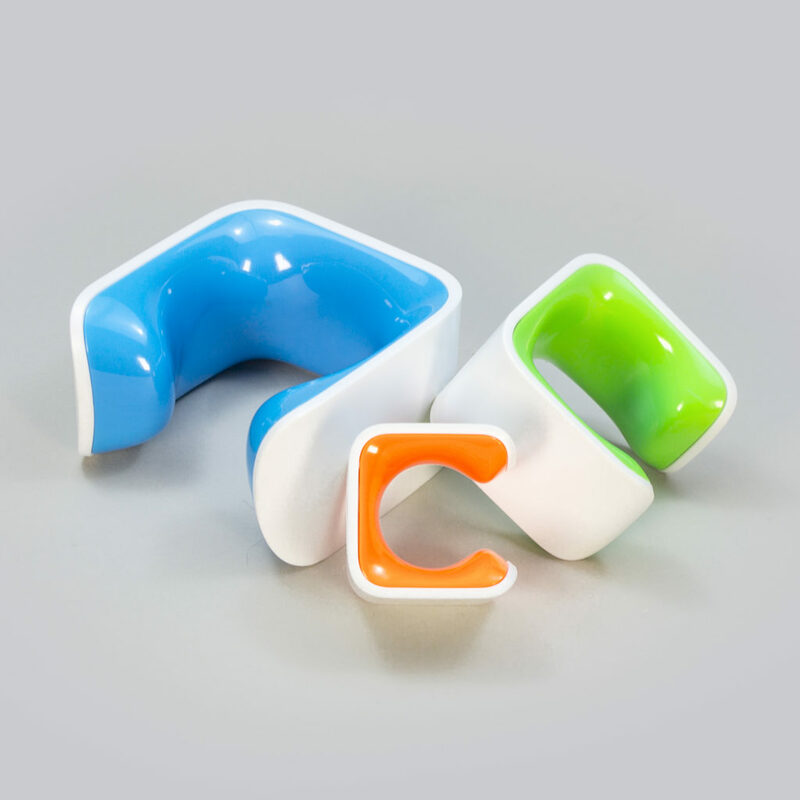 You can read a detailed review of the CLUG here. 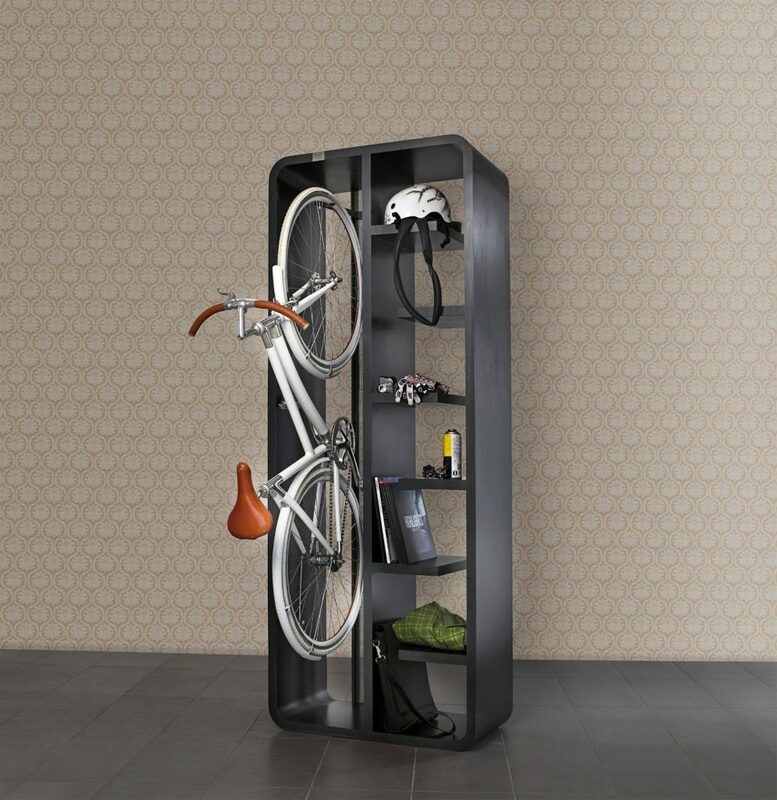 Admit it this would be cool if you had the space for it. 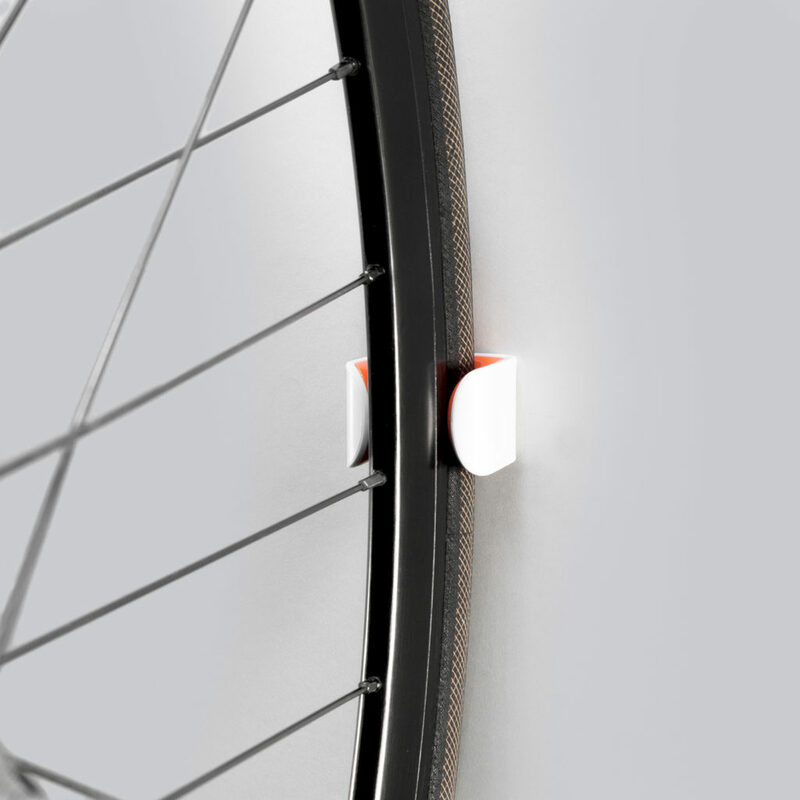 Keep your bike inside your apartment without making a mess. 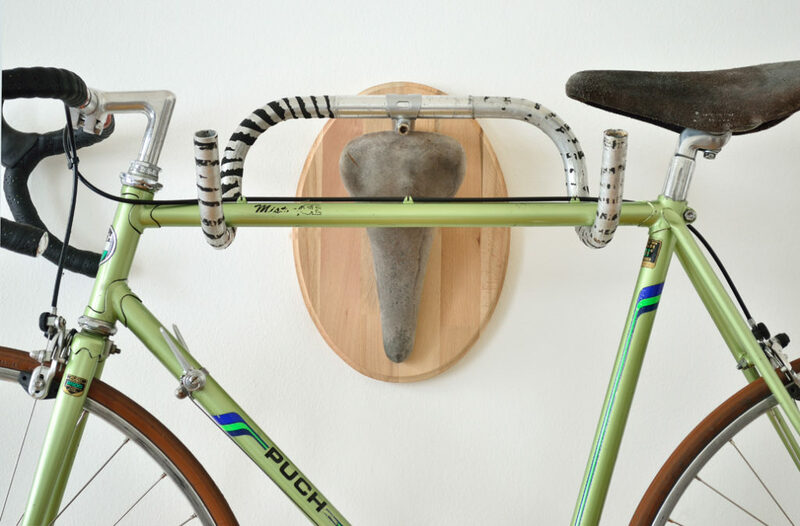 And finally, I had to mention al least one DIY bike rack. 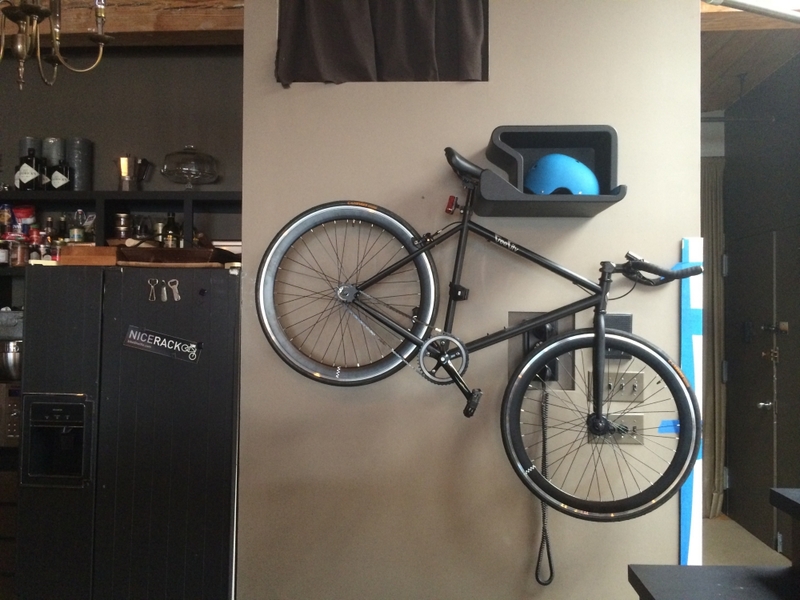 This entry was posted in Bike rack on March 27, 2017 by ozziewizzard.